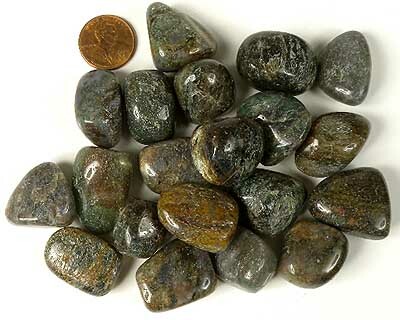 Photo is a representative sample of tumbled fuchsite. 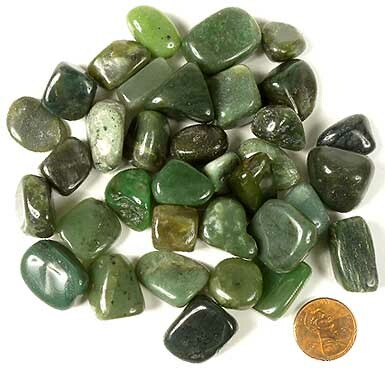 Photo is a representative sample of tumbled nephrite jade. 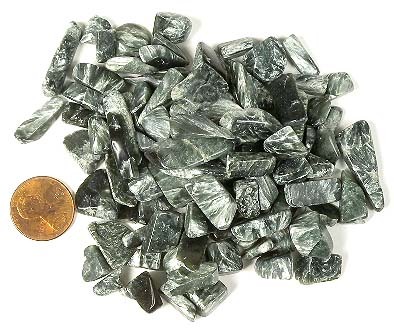 Photo is a representative sample of extra-small tumbled seraphinite. 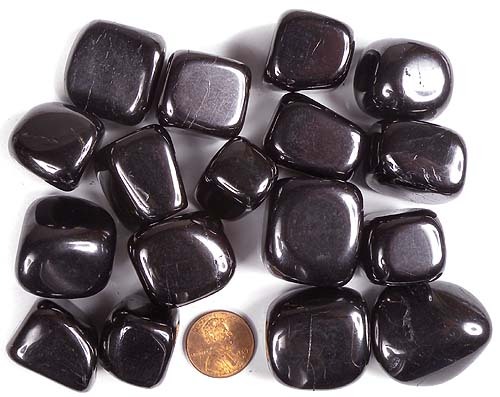 Approximate size: 50mm x 30mm x 15mm thick each. 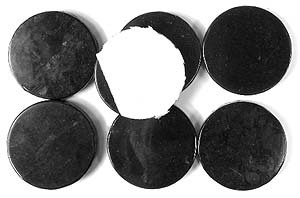 Approximate size: 44mm x 36mm x 9.5mm thick each. 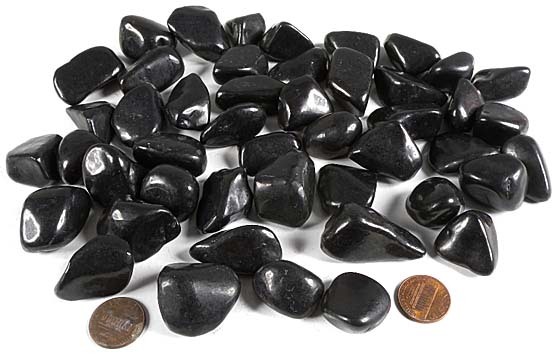 These stones are appoximately 1/4" to 1/2" in size. 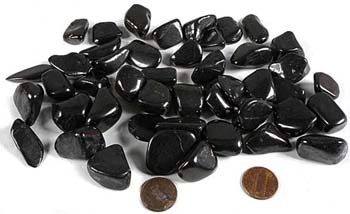 Photo is a representative sample of small tumbled shungite. 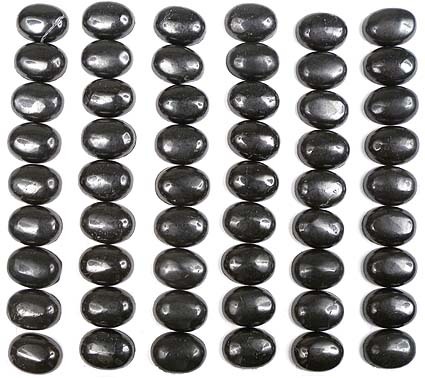 These stones are appoximately 1/2" to 7/8" in size. 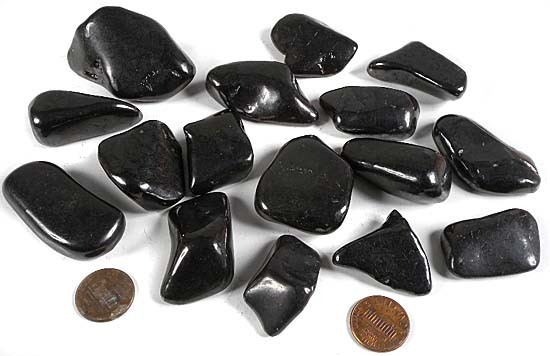 Photo is a representative sample of medium tumbled shungite. 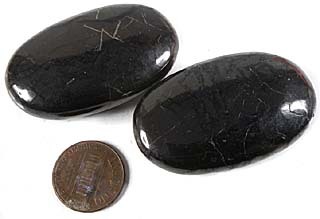 These stones are appoximately 3/4" to 1" in size. 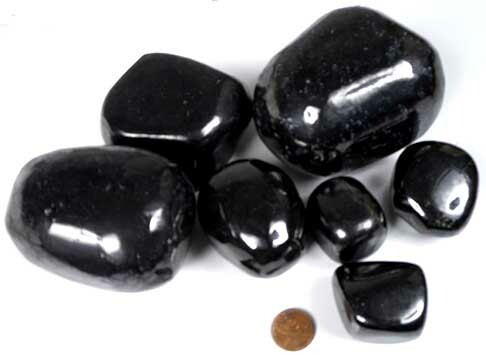 Photo is a representative sample of large tumbled shungite. 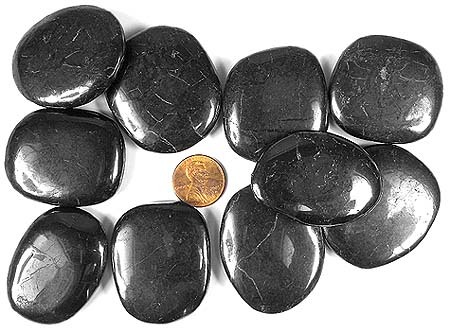 These stones are appoximately 1" to 1-1/2" in size. 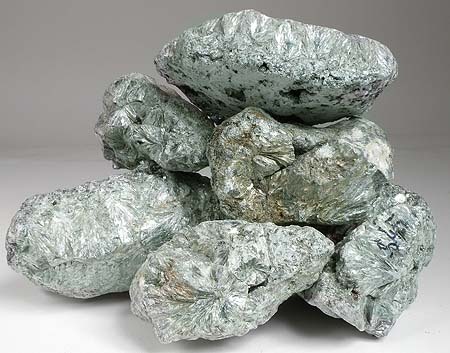 Photo is a representative sample of extra-large tumbled shungite. 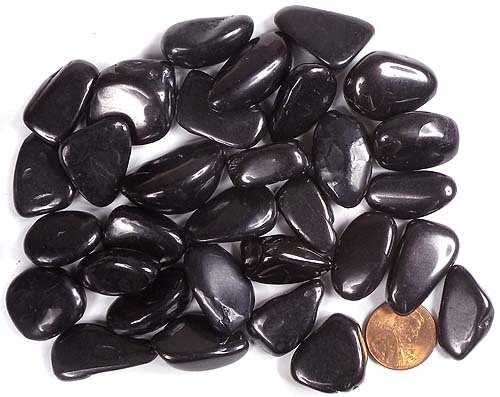 These stones are appoximately 2-1/2" to 2" in size. 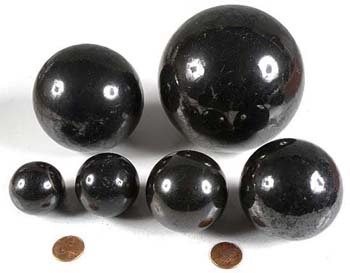 Photo is a representative sample of super-large tumbled shungite. 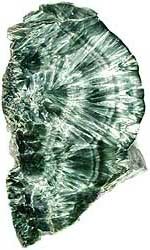 Measures approximately 3" x 2" x 1-7/8" thick. 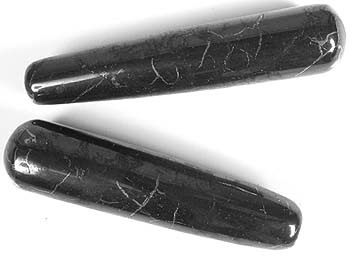 Measures approximately 2-7/8" x 2-3/8" x 1-1/2" thick. 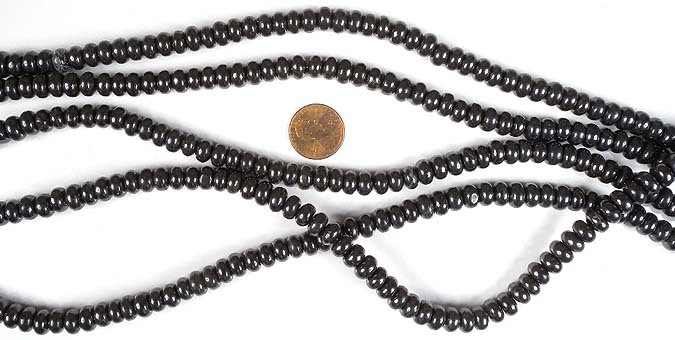 Measures approximately 2-3/4" x 1-3/4" x 1-1/2" thick. 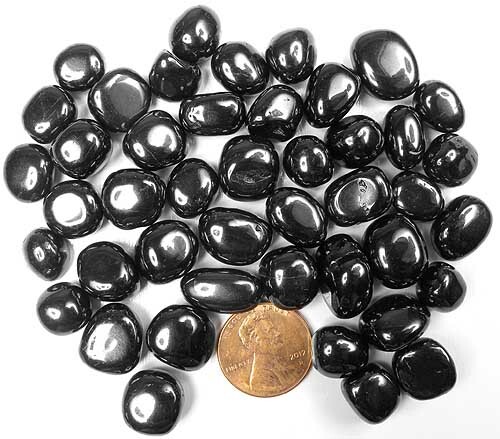 Measures approximately 2-3/8" x 1-5/8" x 1-1/2" thick. 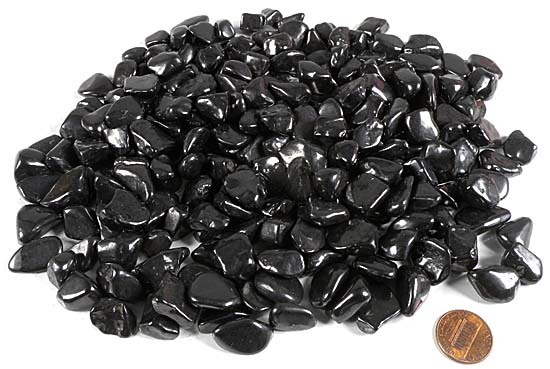 These tumbled stones are rare Petrovsky Shungite!! 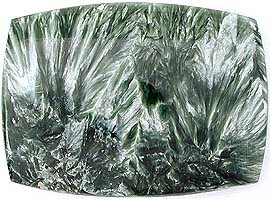 Seraphinite Cabochon Stones on our greatcabochons.com website!